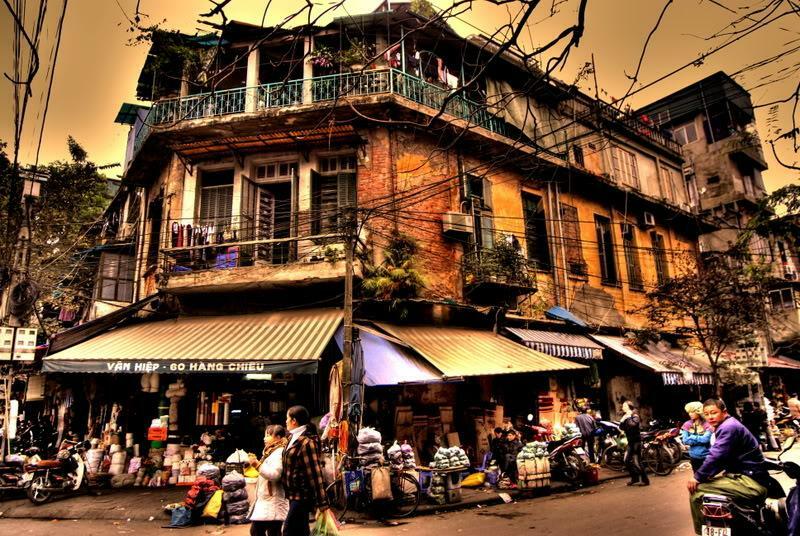 There’s an old Vietnamese saying, “Hanoi has thirty-six streets and guilds – Jam Street, Sugar Street, Salt Street…”. 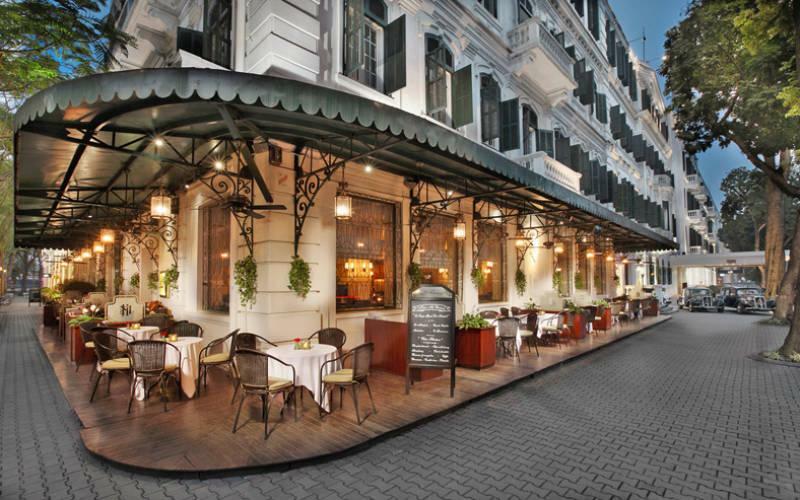 Inside a modern and dynamic city, there appears an antique quarter, the Hanoi’s Old Quarter – the represented eternal soul of the city. 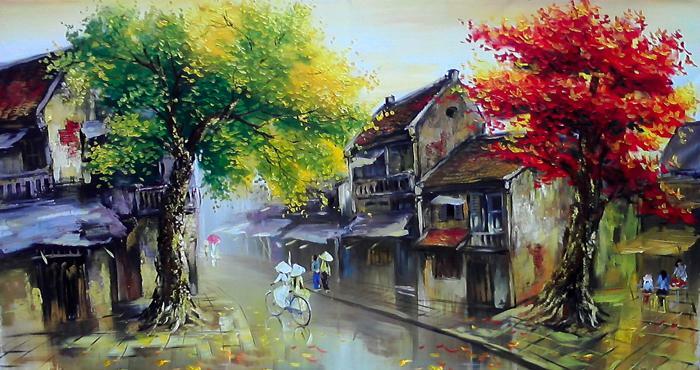 Visiting ancient Hanoi, interesting and full of energy, you will love the city at first sight. 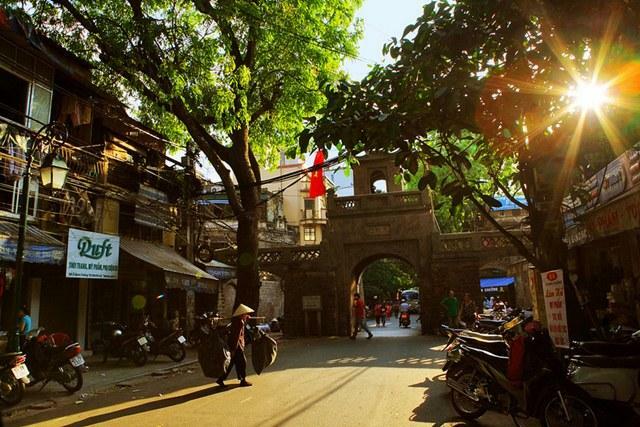 It is not as bustling at night as in Bangkok or as busy as Tokyo, but Hanoi has its own color with a history of over 4,000 years. The Old Quarter with motorbikes, busy street corners and sidewalk stalls create an unforgettable Hanoi. A lot of places to see, many things to do and various dishes to taste. 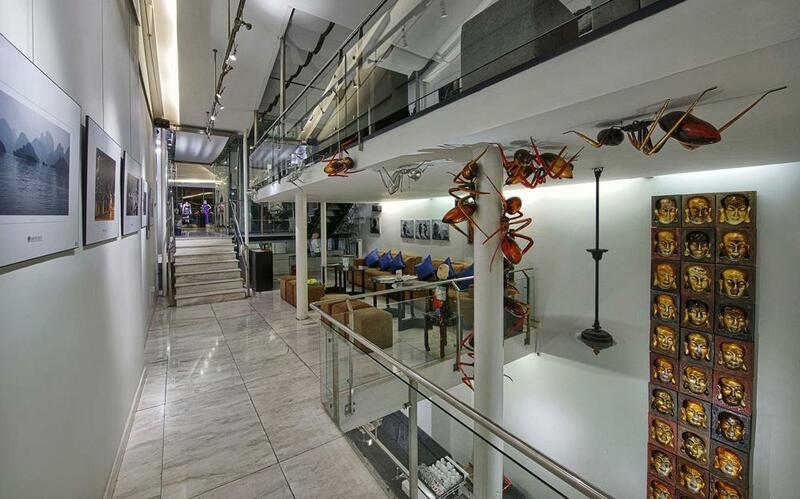 The Sofitel Metropole hotel is a luxury hotel with appealing space and ancient style of France. It feels like Paris in the middle of Hanoi. 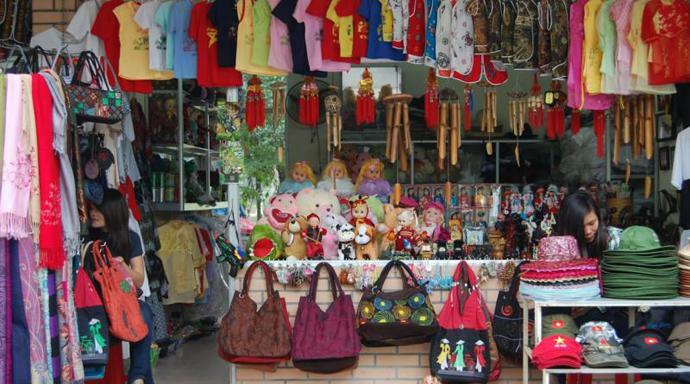 The Old Quarter is the most convenient shopping place in Hanoi, with silver jewelry in Hang Bac street, textile products and home appliances in Hang Trong street, cloths in Hang Gai street, salted dry apricots in Hang Duong street, etc. Tan My Design is a true art space with “made in Vietnam” traditional embroidery and silk. Do not forget to visit Hang Gai street to buy a beautiful set in Tan My style. 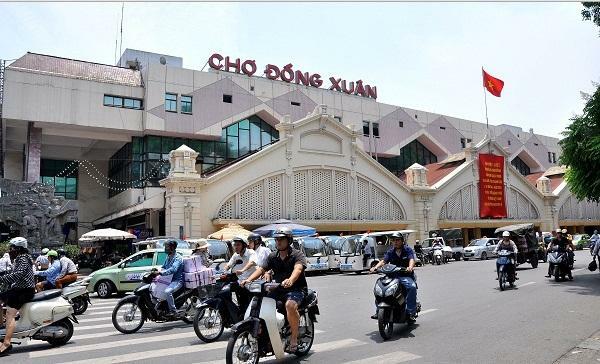 Dong Xuan market: the biggest market in the Old Quarter. The busy market, hundreds of years old, is an ideal place to find cheap jewelry. Daily Market: this is a small market in the Southern Old Quarter famous for supplying various kind of cloth from common to luxury. If you have time to go around the market and visit small tailor shops, you can select nice fabric samples, and use them for bags or lovely wallets that cannot be found elsewhere. Chie Handmade: There are art and craft Asian shops around the Old Quarter and most of them usually look the same in terms of materials, models, etc. However, if you visit Chie Handmade at 49 Hang Trong street by accident, you will see distinct designs here. 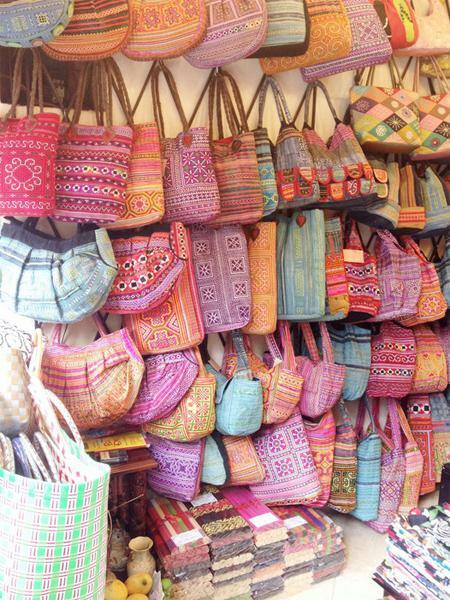 They have fashion accessories and interior decoration with traditional patterns of northwestern ethnic groups.